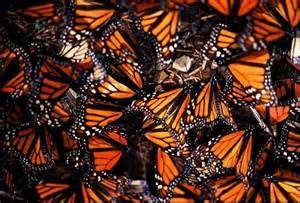 Signed (with my own - NON US Zip code) > Thank you for urging the EPA and the USDA to revisit the safety of herbicides like Monsanto's Roundup to slow the dramatic disappearance of monarch butterflies. Thank you for urging the EPA and the USDA to revisit the safety of herbicides like Monsanto's Roundup to slow the dramatic disappearance of monarch butterflies. Noted and signed using my Real Address. Providing fake/false address and zip codes to those not eligible to sign is Unethical and Fraud. Thank you for urging the EPA and the USDA to revisit the safety of herbicides like Monsanto's Roundup to slow the dramatic disappearance of monarch butterflies. Thanks Nancy! Signed and noted. I believe our government agencies either do not care or they are corrupt. These chemicals are not only harming the butterflies, they are harming all living things in addition to contaminating the land, air and water. Message sent. Noted. Many thanks, Nancy. Petition signed and article noted. it`s really time to put an end to this more and more destroying enough is enough. Thanks for the opportunity to sign this petition. noted, signed & shared (FB) � thanks so much Nancy !